3M™ Scotchlite™ 8910 Silver Reflective Material is intended, when applied on high-visibility warning clothing such as occupational work wear, consumer garments and accessories, to enhance the visibility of the wearer during darkness and low light conditions. The fabric will appear brilliant white when illuminated by vehicle headlights, even when the wearer is situated at the side of the road. 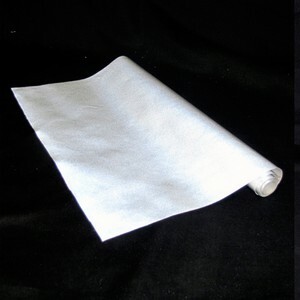 When converting or storing the reflective material, certain circumstances may change the uniform appearance of the reflective material; the reflective properties – and hence the defined functionality – will not be affected by this.